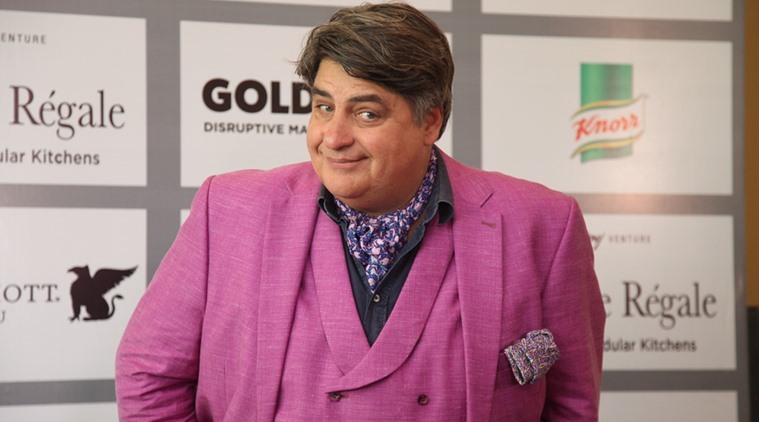 Imagine you’re on MasterChef Australia, not as its host but as a contestant. Which task would you dread? I wouldn’t sign up for it. It’s too hard and would ruin my love of food. Anything with a gravy. Any curry. What are five things that you will always have in your pantry? You will probably always find chocolate (laughs). You have to find chocolate! There’s always lemon, cucumber, probably iceberg lettuce. When I first visited India in 1989, I returned with a love for salty lime soda. When I come back from playing tennis, that’s my go-to drink at home. It’s perfect. Who was the masterchef at your home and what was the one signature dish that you learnt from him? If you had to pick a favourite kitchen tool, what would it be and how much did you spend on it? It’s got to be the stick blender because it’s cheap and you can do so much with it. You can make a mayonnaise puree, you can aerate soup, it’s great. Funnily, the thing I have spent the most on was to extend my kitchen because I have bought so many things I never use. What are the three essential dishes that everyone should know how to make? Pancake, pasta and a stew. What would you cook for dinner on say, a Saturday night? Pizza. It’s a dish that is never as good in a restaurant as it is in a really good oven at home. So if you have a great oven, the whole thing about pizza is, the speed from the oven to the mouth, the quicker it is the better it is. Also, the kids help chop things up, they choose what they want to eat. And when they are involved and they eat much better. You’ve often said that Indian cuisine is among your favorites in the world. Why do you like it so much? It constantly surprises me. Because every time you come here you discover something new. Today it was tondekai (ivy gourd). It is actually banned in Australia. So to try it and then upload a photo to social media, on Instagram and ask ‘What is it?, ‘How do I cook it?’ and get recipes from all over India – people from Punjab, Gujarat and Kolkata saying this is how we cut it, stuff it, fry it – is exciting. So it’s one ingredient that has actually given me 40 different cooking ideas. We are going to use it for a dish on Sunday. We are going to pickle it because pickling works really well. The saltiness cuts down the bitterness and the texture is really exciting. There are too many of them. I love dosa, I love tandoori, I love reshmi kabab. I love making a big spit of reshmi kabab: Marinate chicken thighs with yogurt, onion juice, saffron and salt, put it over coal and slowly turn it, till it gets all crispy and crunchy but still remains juicy on the inside. The onion juice keeps it really juicy. So the reshmi kabab is probably my favorite. But ask me tomorrow and it will probably be butter chicken or the haleem samosas I had last night, because that’s the thing, every day is different in India. You’re probably one of the most stylish personalities on TV. Where are all your tailor-made clothes from? Thank you. My shirts come from a shirt maker in Sydney, the suits come from a tailor in Carlton, in Melbourne. I just love colour and texture. English-style tailoring with jeans is the perfect combination.